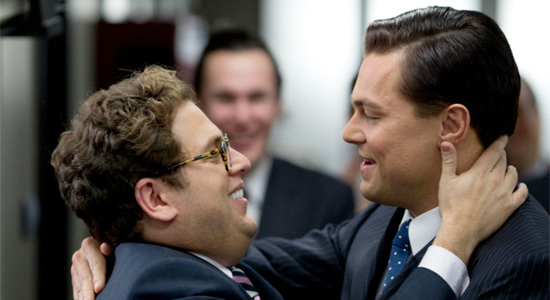 Can 'Wolf of Wall Street' Affect Oscar Race with Christmas Day Release? 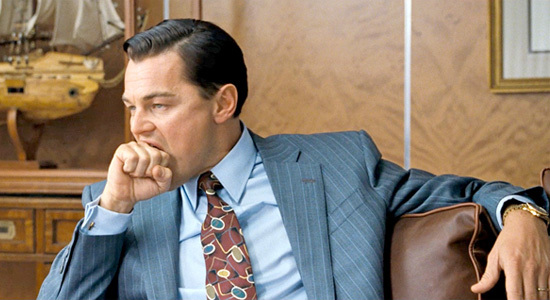 After what felt like a solid month or two of back and forth (plus a few weeks of letting this news settle), we can now safely say that Martin Scorsese's latest film, The Wolf of Wall Street starring Leonardo DiCaprio, is going to hit theaters this holiday season. Instead of a Thanksgiving timeframe for its release, the Oscar hopeful now is heading to cinemas on Christmas Day. Basically, Scorsese's flick went from a November release to nearly a 2014 release and now a Christmas debut, so what does that mean for the film? Well, despite the fact that the film will be one we're excited to see in a few weeks, it will have to distinguish itself in a bigger way than initially planned, due to the end of the year clutter that always happens. Read on! Suffice to say, the movie could still do a lot of awards season damage, but it could also wind up missing out in a number of places due to waiting until the last minute. Still, even more so than American Hustle, this is the unseen 2013 awards hopeful that the general public is most interested in, that's for sure. So the question is, will it be Scorsese's next Hugo or Shutter Island? Any talk of the movie as a potential Academy darling assumes the cut that Scorsese is releasing is up to snuff and doesn't show signs of being rushed out. Remember, originally his film was well over three hours long (some say it was around three and a half), and this version hitting theaters is a comparably lean 165 minutes. That's only 15 minutes off the three hour runtime, but that's a pretty good chunk of time, and it was apparently enough for Paramount to consider holding off on releasing the film. Does the rest of the film suffer without those 15 minutes? Will it feel like something is missing? This kind of trouble for an Oscar-hopeful production isn't always bad. Just ask Quentin Tarantino, who dealt with similar issues and potentially poisonous buzz while finishing Django Unchained and Inglourious Basterds, both of which became Best Picture nominees and Academy Award winners in the end), but it does factor into any analysis of its chances at Oscar love. The other thing to remember is that this isn't an immediately "baity" project. Essentially, the movie looks like a glossier and more comedic version of Boiler Room (which of course was inspired by Jordan Belfort, who wrote the memoir that's being adapted here, so it all comes full circle), and we can remember the number of nominations that film got, right? Yup, it was zero. Now, I don't mean this to be mean, I dug that flick and expect to enjoy this one too, but the Academy doesn't flock to Scorsese regardless of what he makes. In fact, they can be very picky with his work. I submit the cases of Bringing Out the Dead and Shutter Island to you. Both were changes of direction for the director, both were thought of as definite awards players, and both were completely shut out at the Oscars. That says nothing about their quality, but it shows that Academy members don't just vote for Scorsese films because he made them. Oscar voters cite his movies when they feel strongly about them for one reason or another. Hell, they don't even always vote for his gangster flicks, as you can see in the case of Casino, which was his most ambitious mob related project and only one nomination, which was for Sharon Stone in Best Actress. Now, with The Wolf of Wall Street, he's got the potential helping hand of tackling a recent real life event, but the question there will surround if too much time has passed since the financial collapse for this movie to seem timely. If that's not the case, Scorsese will get a bit of a boost, especially since this year seems to shaping up to be heavy on the true life Best Picture nominees. In terms of those nominations, what could happen if all goes right? Well, it could frankly challenge for the most nods of any film. I doubt that happens, but there are plenty of places for it to score noms, so Paramount will definitely put a major campaign in place. Obviously it begins with Best Picture, Best Director for Scorsese, and Best Actor for the aforementioned star DiCaprio, but it goes on to include Best Supporting Actor for either Jonah Hill or Matthew McConaughey, Best Supporting Actress for either Cristin Milioti or Margot Robbie, Best Adapted Screenplay for Terence Winter, and technical citations all down the line, including specifically Best Cinematography for Rodrigo Prieto, Best Film Editing for Thelma Schoonmaker, and Best Original Score for Howard Shore. Double digit nominations are not impossible here, but that's clearly in a best case scenario for the film. If that happens, it might even be able to make the case that it's the frontrunner, or at least the alternative to the current top crop of 12 Years a Slave, American Hustle, Captain Phillips, and Gravity. This movie will more likely wind up getting lost in the shuffle, at least to some degree, and settling for a handful of nods. Currently, I only have it in Best Picture (as one of the final nominees, so it could easily miss), Best Adapted Screenplay, and Best Film Editing. I'm a little more cautious than most about giving it too many noms right now, but we'll see how the race shapes up. I wouldn't be shocked if it gets zero nominations in the end, but that's only if the flick is lacking in some way. DiCaprio certainly is in play and the most recent trailer highlights Hill in a big way as well (McConaughey likely will have other campaigns going, as I recently wrote about here). Even without the film in Best Picture, either of those gentlemen could still swoop in and upend their categories. Ultimately, it'll come down to if enough voters are particularly taken by it. The Wolf of Wall Street has about an equal chance of becoming a front line player to win a number of Oscars as it does of almost getting shut out entirely. I have my doubts about a complete shut out, but there's still a lot to be decided here about this flick. There will be much more to say once it starts screening, but until then, your guess is as good as mine. I liked Boiler Room, so this one is a movie I'd definitely see. I'm not too concerned with awards and such. Scorsese is the greatest living director and as long as he's putting out quality work that is of his true visions then I'm there. Boiler Room came out in February. So did Shutter Island. Why would anybody think that doesn't matter in the Oscar race? Sure there are exceptions like The Silence of the Lambs and Fargo, but those were exceptional films that came out in weak years. As for Bringing Out the Dead, here is a list of films that came out in 1999 when it was released: Magnolia, Fight Club, Being John Malkovitch, Topsy Turvy, American Beauty, The Sixth Sense, The Straight Story, Toy Story 2, The Insider, Eyes Wide Shut, All About My Mother, Boys Don't Cry, The Talented Mr. Ripley, Election.... It was an amazing year for movies and that list doesn't even include two of the best picture nominees. This year hasn't been anywhere near as strong and a lot of the movies thought to be strong contenders have been a bit disappointing. So this movie could easily be a major nominee. I'm really excited to see how this one turns out. DiCaprio looks more lively and energetic than we've seen him in years, and I wouldn't be shocked if this turns out to be a big player in the season to come, despite some stiff competition. I bet this one gets nominated for a lot!